Krakow was the first stop on my 3 week trip through Eastern Europe. As a healthy eater, the prospect of traveling, away from my healthy clean eating kitchen, is a bit daunting. Woman cannot live on nuts and energy bars alone! Besides, half the fun of traveling is experiencing the local cuisine. But, with 3 weeks on the road, I wanted to make sure I'd still feel good in my body and of course still fit into the clothing I brought with me. So I was happy to learn of so many healthy food choices in Krakow, Poland. 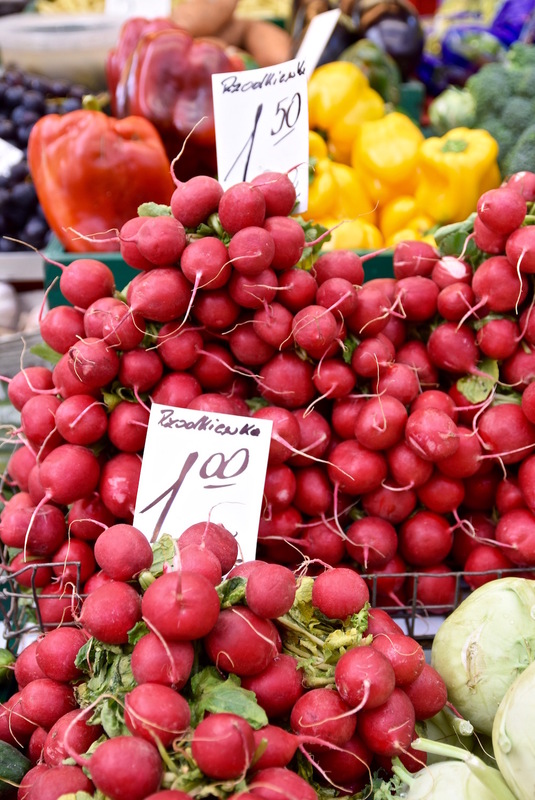 Here are a few places to check out for some cleaner eating while visiting. If you don't feel like traipsing around Krakow in search of something healthy to eat, then you want to hit Ulica Krupnica. This street in the Old Town is for the vegan, gluten free, allergy-ridden travelers, or those just looking for a healthier alternative to some of the heavier Polish food. There's restaurants, cafes, markets and even a yoga studio to get yourself in balance. Not only does Karma have some of the best coffee in town, they also have vegan and gluten free baked goods, along with regular vegan lunch specials. 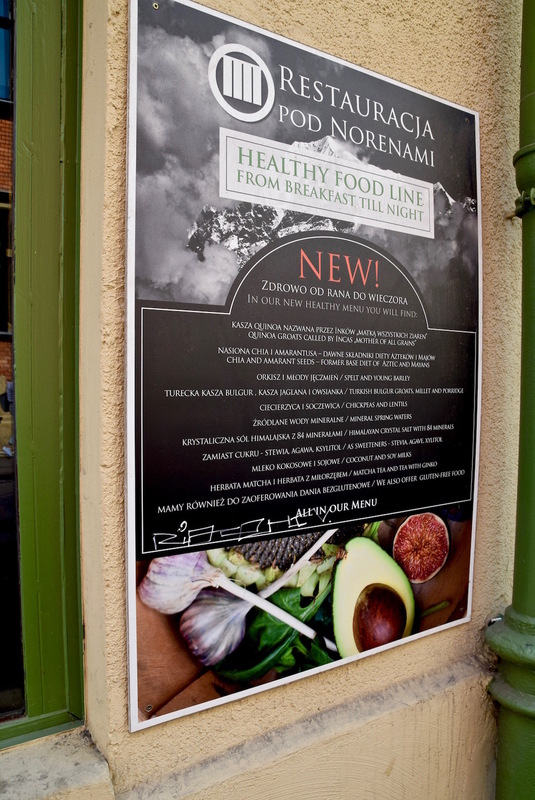 Pod Norenami has put together an extensive menu, and I mean extensive, of Asian vegetarian and vegan fare including things like veggie sushi rolls, faux pork with thai basil, and tofu stir fries. Veganic has healthy soups, smoothies and eco-wines served in a pretty outdoor garden. Sissi Organic Bistro also has a beautiful patio in the back, serving interesting spreads like beet hummus and dill hummus with homemade bread. Millet makes a strong showing at Sissi's like in the delicious sous-vide chicken with fresh spinach and tomatoes. There's also a range of housemade jams and fresh squeezed juices and blends like apple, beet and carrot. 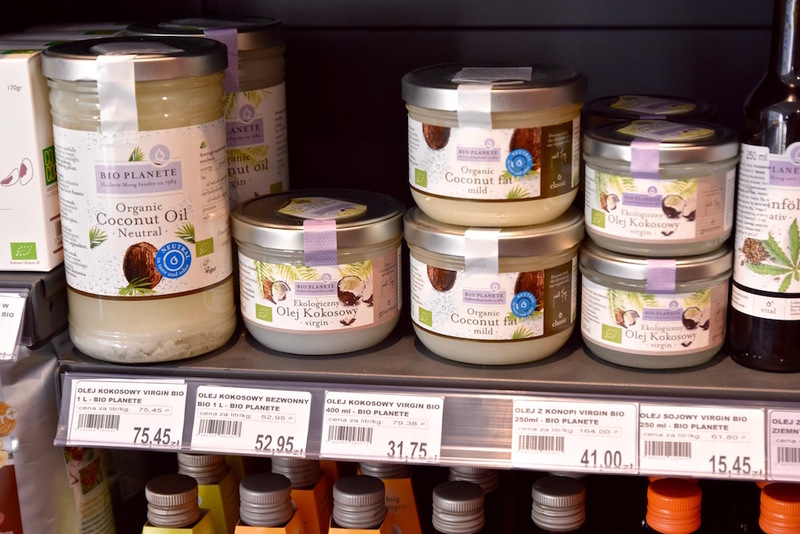 Naturalny Sklepik is a well-stocked healthy food market to grab supplies ranging from bulk nuts to coconut oils, fresh produce and teas. It's a good stop to hit if you're doing the Airbnb thing with your own kitchen. There's also prepared food to eat there or take with you. One of my favorite things to do when visiting a new city is check out their farmer's market. I was happy that Krakow had a few to choose from and I visited Stary Kleparz, not far from the main square. 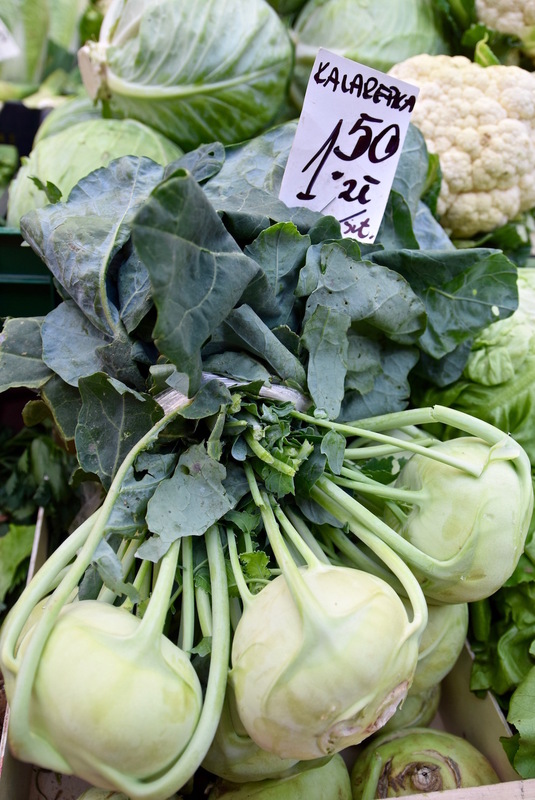 You'll find a diverse selection of produce, as well as cheese, wine, clothing and flowers. It's still possible to eat on the healthier side when dining at one of Krakow's established restaurants, like at Pod Aniolami. Pod Aniolami, which means "Under the Angels," is a historic restaurant in Krakow with interiors dating back to the 13th Century. The name comes into play as you descend down two floors into the cellars, and are surrounded by historic artifacts, exposed stonework and natural candlelight. The restaurant has a large wood fired grilled where you'll see things like duck, fish and other vegetables being cooked. It's a lovely setting for a well-prepared classic, Polish meal. Studio Qulinarne is the modern yin to Pod Aniolami's classic yang. For starters, Studio Qulinarne is in Krakow's edgier Kazimierz Jewish Quarter. It's doing an "of-the-moment" changing menu based on seasonal ingredients. The menu is small with just 3 starters and 3 mains that could range from fresh salmon with dill and shallots to cod with green beans and apple. The plating and service are on point, but if you're used to eating in a big city like LA, you may find a few dishes a little lacking. They might be where we were 10-15 years ago in the modern cuisine department, but if you're looking for something different and a little more refined, they're worth a try, or even a drink, though oddly, you won't find any local Polish wine on the menu. If you need something to do between all of the eating, check out my top 10 Krakow experiences.